If the fans inside your computer are at their highest speeds, then it means your CPU is fully utilized. This usually has an adverse effect on your systems performance, which can be rather annoying, especially if you’re not doing anything on it. The processor (Central Processing Unit) is essentially the brain of the computer. Like the human brain, it can become overwhelmed, when inundated with too many tasks, or if a task drags on for an extended period of time. Just as things can become more difficult when the human brain is overwhelmed, the processor can grind to a halt, when asked too much of it. The quickest way of avoiding such incidences is by monitoring the kinds of programs that you’re running. However, there are those instances when high CPU usage is the result of a bug in an application or process. In this post, I intend to speak about the various ways that you can avoid this common issue. 1. First, boot into your computer with an administrative user profile. 2. 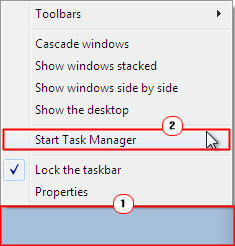 Then right click on the Taskbar and select Start Task Manager. 3. 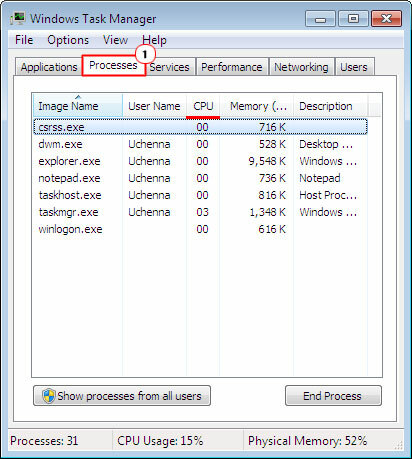 When Windows Task Manager loads up, click on the Processes Tab, there you will be able to see all the various applications and processes running in the background, along with the amount of CPU resources they are consuming at any given time. If you’re able to locate the application that is causing the problem, then you can simply remove it. However, if there is no indication of any application utilising too much resources, despite the constant performance drops then you may want to consider using Windows System Restore. This tool will allow you to set the system back to a period before it was exhibiting any problems. This particular process (Windows Management Instrumentation) is a component of the Windows and assists organisations in monitoring and troubleshooting networked systems. Typically, this process will function as it is designed to. However, there are those instances when this process acts up. You can verify whether or not WmiPrvSE.exe is working as it should by using Windows Task Manager. If you find that the amount of CPU resources the process is using is in the double digits, despite not running any applications on your computer, then you know it’s not functioning as it should. 1. Boot into your computer with full administrative rights. 2. 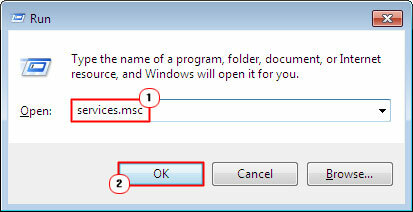 Then press Windows Key + R, when the Run Command Box opens, type Services.msc into it and click on OK.
3. 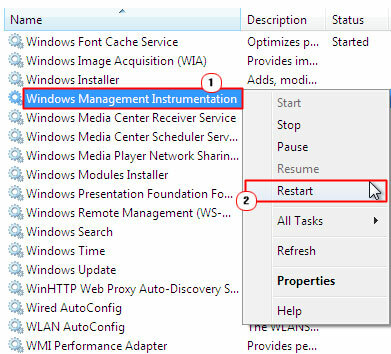 When Services loads up, navigate to Windows Management Instrumentation, then right click on it and select Restart. Note: You can also choose to stop the service, if you like. Malicious files tend to be one of the main contributors to issues involving system performance, such as the constant 100% utilisation of the CPU. If, while browsing the internet, you receive tons of unwanted pop-ups, in addition to lacklustre performance, then there is a good chance that your system is infected with a virus. I recommend you update your antivirus scanner with the latest virus definitions, and then run a full virus scan of your system. Have you noticed your system running considerably slower at seemingly random times, with such times correlating with high hard disk activity? If so, then there is a good chance that your antivirus scanner is to blame. An antivirus scanner, while scanning your system files, in an attempt to locate potential threats, is capable of consuming a considerable amount of CPU resources. In most cases, this is not enough to slow down the latest computer rigs, but in older systems this can prove to be quite a problem. Fortunately, fixing this problem isn’t too difficult. Simply configure the antivirus scanner to scan your system during periods when no one is actively using it. If the CPU fan fails, then it can cause the processor to heat up, causing high CPU usage issues. In this particular case, you’d want to replace the fan with a working one. Prior to that, you may want to verify that there is nothing blocking the fan, such as dirt or debris. The build up of dust is also known to cause memory modules to slow down or fail in more serve situations. Thus, consider removing the dust from your computer on a regular basis to prevent mishaps like this. Uchenna Ani-Okoye is a former IT Manager who now runs his own computer support website Compuchenna where he writes extensively on computer related issues and topics.